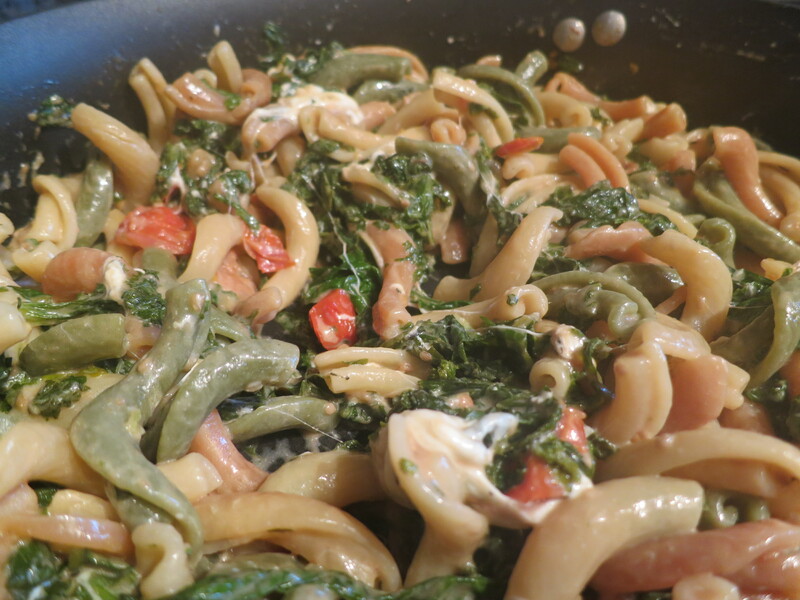 Yesterday, I decided to use the mustard greens in a pasta dish. 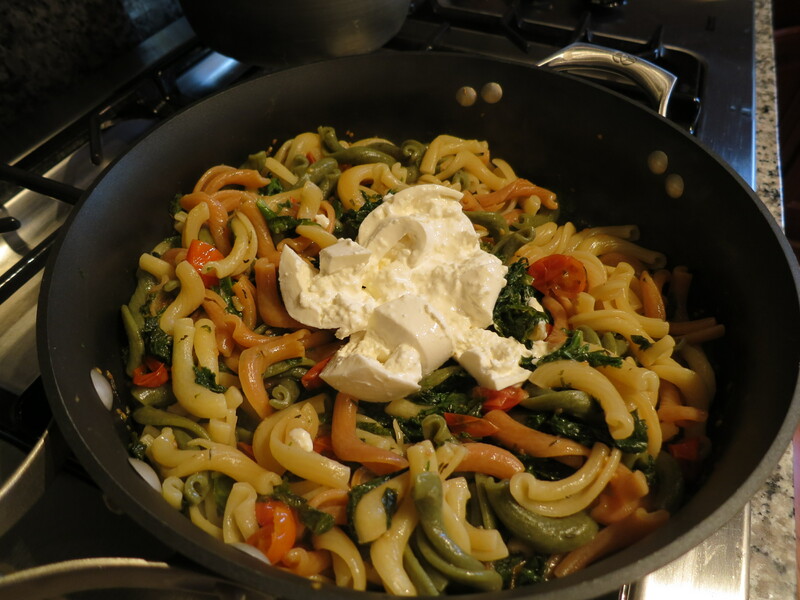 I’d found some burrata at the store the other day and was dying to use it. I’d never had mustard greens before but figured they were probably similar to kale and collards, with which I am now expert. 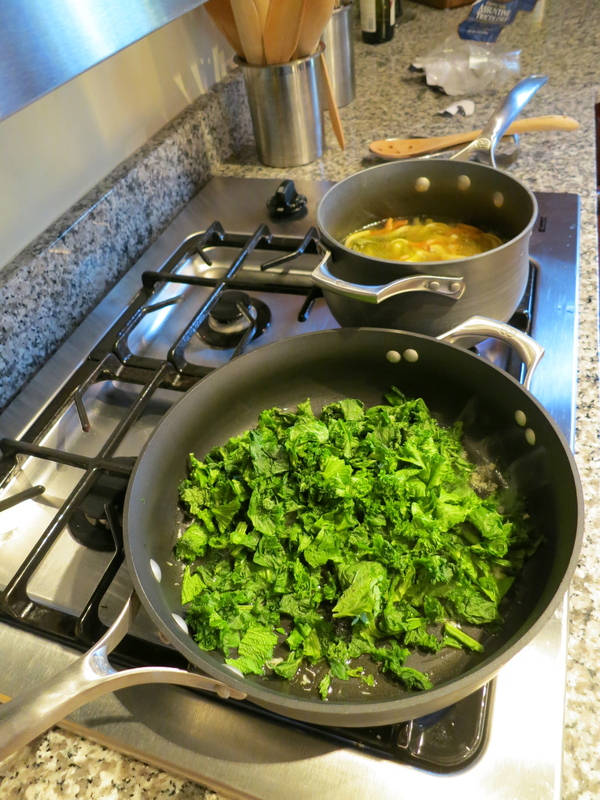 When I started cutting the mustard greens into slivers, I was overwhelmed with a familiar smell. I’ll admit that it took me a minute to figure out what the smell was. Kids, it was mustard. Yes! Mustard greens smell like mustard. Shocking, I know. Once I stopped rolling my eyes at myself for not connecting those dots before, I decided that I would turn to my mom’s famous salad dressing as my inspiration for this pasta dish. Betsy’s famous salad dressing is an oil and vinegar dressing with some mustard and herbs. It sounds like any other dressing, but it’s not. Trust me. So, I grabbed the balsamic and dried thyme and started cooking. I was pretty please with the result. 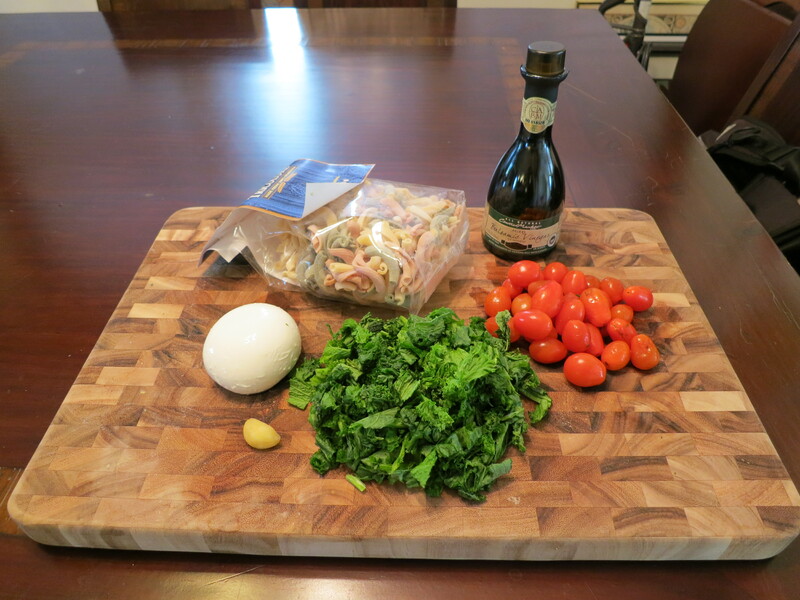 The mustard greens add a nice tang, which is balanced nicely by the balsamic vinegar. The burrata was creamy and delicious and hit the spot. I’d definitely make this one again. 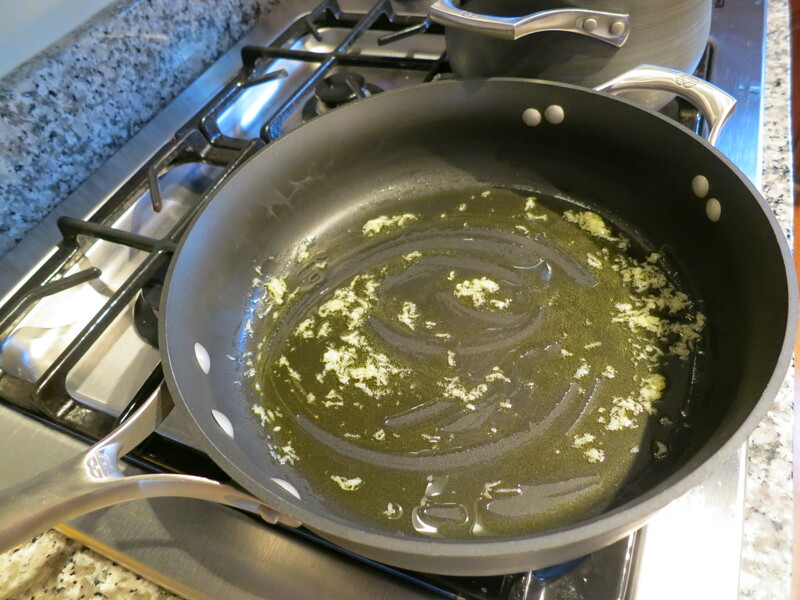 Heat the olive oil in a large skillet and add minced garlic. Cook until fragrant (1 minute). 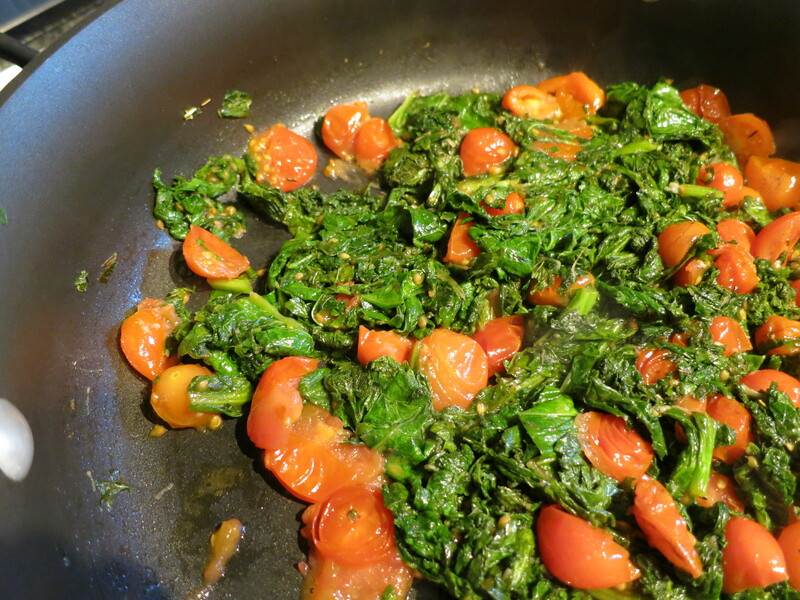 Add mustard greens and cook until wilted (3-4 minutes). 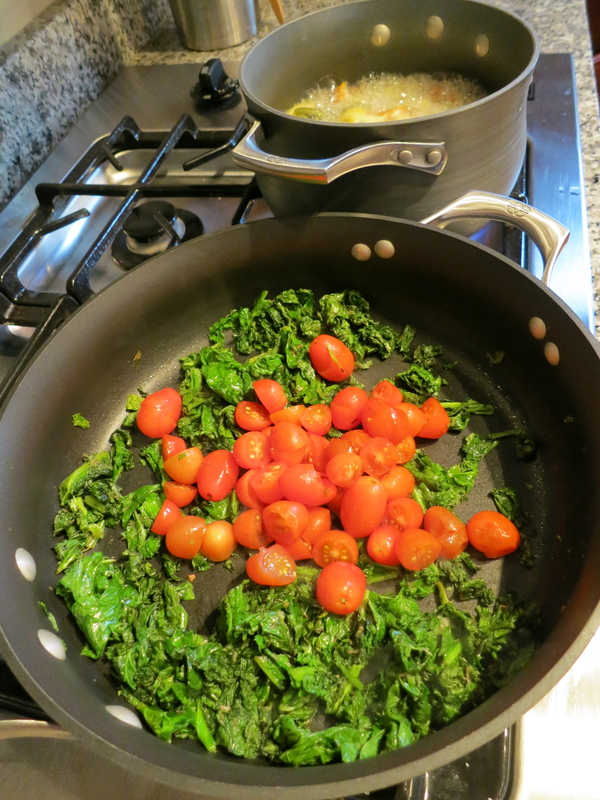 Add tomatoes, balsamic vinegar and thyme to mustard greens. Stir to mix. Cook until tomatoes are soft, pushing slightly on the tomatoes periodically to release juices (2 minutes). Turn off heat and toss in pasta and cheese. If needed add up to 1/2 c pasta water to create moisture. -Tarragon, basil and oregano (or a combination) would also work here. -A hit of red wine vinegar might be nice to add another layer to the flavors (harkening back to Betsy’s famous salad dressing). Beautiful dish. We have mustard greens coming out our ears right now. I’m hoping to saute it with kumquats for Thanksgiving. I only just learned about burrata and I love it.